It's that time of the year again!! Yup, halloween is right around the corner. This year I thought that I would share a couple of costume ideas where you can just easily use your everyday clothes. They might not be the most creative but hey, I had fun cosplaying. I might even do this AFTER halloween just because I had so much fun. 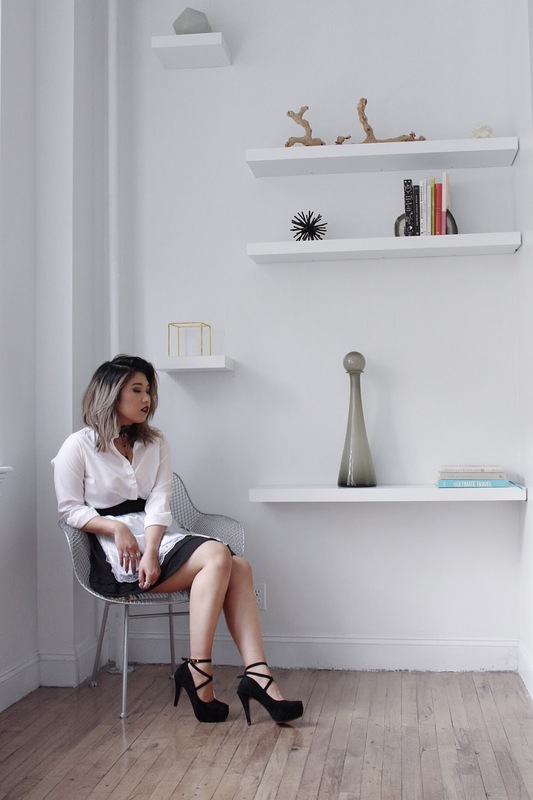 For this post, I've teamed up with DressLily to bring you this maid (waiter?) costume. Honestly for this costume all you need is the apron. It is the piece that will MAKE your costume. Other than that, everything else is definitely optional. To make the costume more darker, I added a gothic choker and these oh-so-cute heels. I haven't worn heels like these in years I forgot hot great they make my legs look.